For the lovers of cinematography, the atmosphere is vital, throughout the city centre streets it is possible to find old times cinemas, where you can appreciate, throughout the year, unpublished shows, revisited films and new releases. In 1896 Brescia opened its first extemporaneous movie theatre in the gym called “Forza e Costanza” in Cavallotti street. “Roi Soleil” (called “Sun” in the fascist period) opened in 1907 in Corso Palestro and “Edison” situated in Corso Magenta could be considered as the first real cinemas. One year later, where now there is a branch of Deutsche Bank, opened the “Salon Parisien” (renamed “Cinema Magenta”) and also the “Società Cinema Brescia”. Since 1911 movies were played from 14 pm till midnight with a cost between 20 and 50 liras and each movie theatre had piano players and subtitles were shouted by the audience. Other cinemas where the “Lùmière” in Saint Faustino street (renamed “Trento”), the “Vittoria” in Carmine area, the “Cremona” (built in the 20s, specialized in western films and in series), the “Crociera”, the “Centrale” in Zanardelli street, the “Garibaldi” and the “Supercinema” in Corso Garibaldi, that was still in activity till the early 2000s. 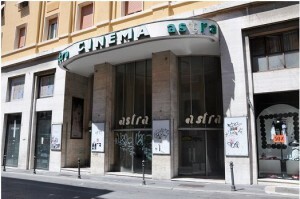 The “Palazzo” in Vittoria square, destroyed by the bombardments, was the only one where D’Annunzio entered, in 1947 it was replaced by the “Adria”, and in 1948 another cinema opened in this area and was called “Astra”. 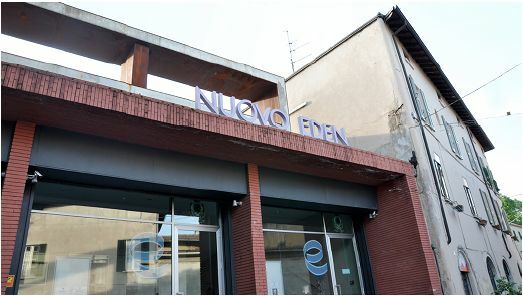 In Brescia there were also “red lights” cinemas, like the “Moderno” that now hosts the police station “Carmine”, the “Obiter” in Solferino street, that nowadays is a showroom of an estate agency and the “Eden” in Bixio Street. Other cinemas were the “Aquiletta” (today the Auditorium Saint Barnaba), the “Odeon” in Porcellaga street (today seat of a supermarket), the “Brixia” in S. Faustino street (today one of the university of Brescia section), the “Rik” and the “Nuovo” in Lamarmora quarter. The films were also played in the theatres, such as the “Sociale” and the “Grande”. Nowadays the survivors are the “ Moretto” and the “Sociale” in the city centre and the “Metropol” in Galilei street. 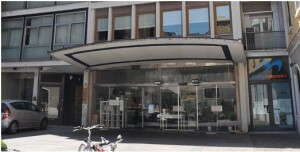 The “internal” cinemas are also important: “Collegio Arici”, with the movie theatre of the same name in Trieste street, then changed in “Ambra” and now it is become the Auditorium of the Catholic University, and the “Pace” with its “Attualità-Pace”.